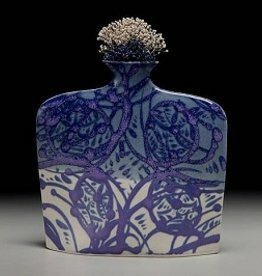 This vase is made of porcelain clay. 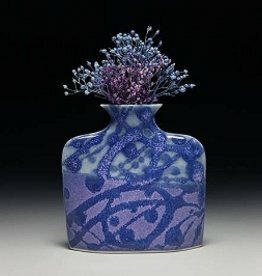 The glaze is hand-designed, making each piece unique. 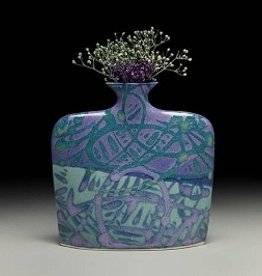 Each vase comes with a matching dried flower arrangement.